Florida’s population is booming. Construction cranes dot the sky, and the way new homes pop up seemingly overnight is amazing. People are coming, going and coming back again in a constant state of transition all over the state, and they need storage options to keep up with them. With such transitioning, Store Space is here to be your trusted partner in all your storage needs—for growing families and downsizing empty-nesters, newcomers and summer snowbirds, business owners and general spring cleaners. Our trained storage professionals treat your belongings like they would their own and ensure the best customer care, and thanks to our top-notch security systems, you can have total confidence in the safety of your personal belongings. We use state-of-the-art security systems, including digital surveillance and computer-access gate codes. Florida is known for its beautiful, albeit often humid, climate. Store Space protects your belongings from moisture damage and extreme temperatures with our climate-controlled storage units. We provide access to your storage unit 7 days a week and have realistic office hours Monday through Saturday to fit your schedule. And our friendly call center se habla Español. On-site managers will be sure to take care of you with a smile and are available to answer any questions and help make your storage experience a pleasant one. Store space has boxes and packing supplies available at our front offices to make moving and storing easy. Let our trained storage professionals help maximize your space at home or at your office. Reservations are easy with online bookings, no security deposits and no reservation fees. You can count on low out-of-pocket costs with amazing move-in promotions and competitive monthly rates. 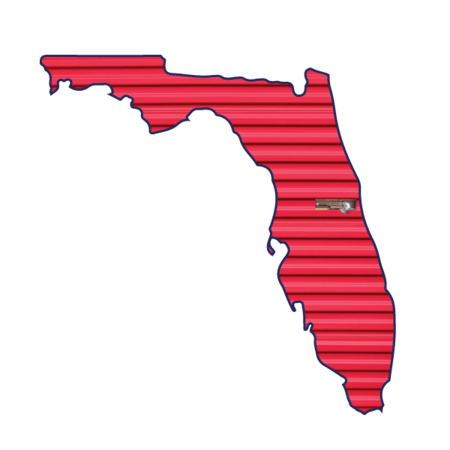 Florida is home to several colleges and universities, and our low rates are perfect for students. Self storage is great for gap years, semesters abroad and summer storage. We also support our military troops and their families, offering convenient month-to-month leases that accommodate the quick timelines and high travel volume associated with the military. We make sure whether you are in town or traveling, payment options are easy and versatile to keep up with you wherever you are! Store Space located in Gainesville at 3728 North Main St., Gainesville, FL 32609 - Gainesville Store Space is located near the car dealerships, between Honda and the Circle K. Our drive-up units are convenient and can hold motorcycles and other small vehicles. Store Space located in Bonita Springs at 26300 Old 41 Road, Bonita Springs, FL 34135 - We are right off Old 41 Rd., south of the post office and just across from Bonita Lakes RV Resort. Our air-cooled units come in all sizes, and our outdoor vehicle storage spaces run up to 25’ long for campers, trailers, watercraft and other recreational vehicles.